Shop online for over 1,800 bowser model trains at discounts up to 30%. 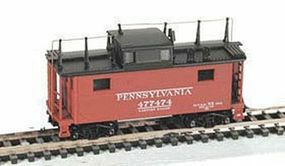 Freight Cars is the most popular of the 9 bowser model trains categories, then Locomotives, and Parts. This is the HO Scale Alco C636 w/LokSound & DCC - Executive Line - Illinois Central #1104 (orange, white, black) from Bowser. This is the HO Scale Milwaukee Class M636 DC Canadian Pacific #4728 from Bowser. This is the N Scale Pennsylvania RR Train Phone Caboose Antenna Set w/Wire & Stanchions by Bowser. This is the HO Scale 70-Ton 2-Bay Closed Side Covered Hopper - Kit - Undecorated by Bowser. This is the HO Scale Alco C636 - Standard DC - Executive Line - Illinois Central #1104 (orange, white, black) from Bowser. This is the HO Scale K11 Stock Car Pennsylvania Silver Roof #130537 by Bowser. This is the Operating Trolley Pole - Form 11 Roof Pole w/Pivot Sleeve (Matches Pole on Bowser PCC Streetcar) by Bowser. This is the HO Scale Alco C636 - Standard DC - Executive Line - Burlington Northern #4369 (Cascade Green, black) from Bowser. This is the HO Scale 70-Ton Covered Hopper Open Side Denver & Rio Grande Western #18405 by Bowser. This is the HO Scale Alco C636 - Standard DC - Executive Line - Illinois Central #1103 (orange, white, black) from Bowser. This is the HO Scale F7A/B with Sound Canadian National #9154/9197 from Bowser Manufacturing.